The church was built in year 1594 and was almost demolished in a fire set off by the retreating Portuguese forces in year 1961 and was renovated soon after. 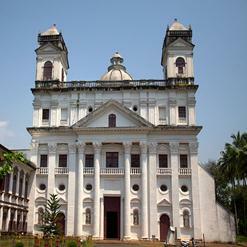 The Church of Our Lady of Miracles is situated about two kilometers east of the main Mapusa bazaar. The church is normally known as Milagres church.